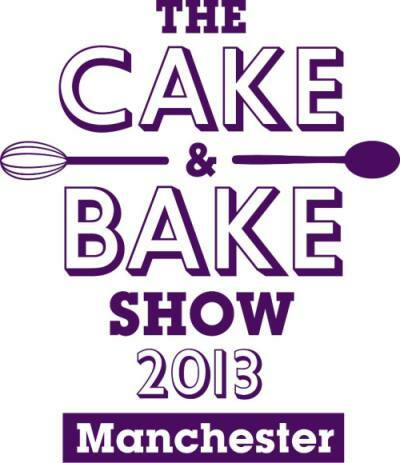 I’ve got FIVE pairs of day tickets to give away for The Cake and Bake Show in central Manchester on the 5th, 6th and 7th of April, 2013. The show features an impressive list of demos from people like Paul Hollywood, Dan Lepard and Simon Rimmer, alongside a full programme of classes and a packed marketplace. It’s the biggest experiential show of its type entirely dedicated to all things baking, and a great chance to see the experts at work and learn their tricks for yourself. Thanks Rich for the opportunity to go to the show – courtesy of being one of the lucky winners! When we arrived on Friday morning it was rammed – to say the least – but fortunately things quietened down after the initial rush to get in; perhaps choosing to arrive at opening time was not the best option! For a serious baker, or indeed a follower of celebrity chefs, this would be heaven – there were cake decoration stalls aplenty with some truly spectacular creations (not least a 2 metre high gingerbread house) and all the kit to have a go yourself. Free demos abounded in five separate demo areas – we watched Eric Lanlard create a red velvet cupcake covered in white chocolate and mascarpone buttercream. WH Smith had opened a bookshop with a range of cookery books that would satisfy many a need, although we didn’t bother waiting for signed books, there were plenty who did. If there was a disappointment it was the under-representation of savoury baking.